Every ROK experience should be a learning experience whether you are practicing on the range/course or playing virtual golf. Not sure what that looks like, check this out - HOW TO ROK. Learning at ROK Golf is faster and more efficient than any other way to practice. It is more efficient for a 3 main reasons. TrackMan - The data that you get by hitting golf balls on TrackMan takes all guesswork out of why the golf ball is going where it is going. Variables - Practicing at ROK eliminates the variables that you get when you practice outdoors. The hitting conditions are the same every time, the golf ball is the same golf you play with on the golf course, and you don't have mother nature to contend with while practicing. 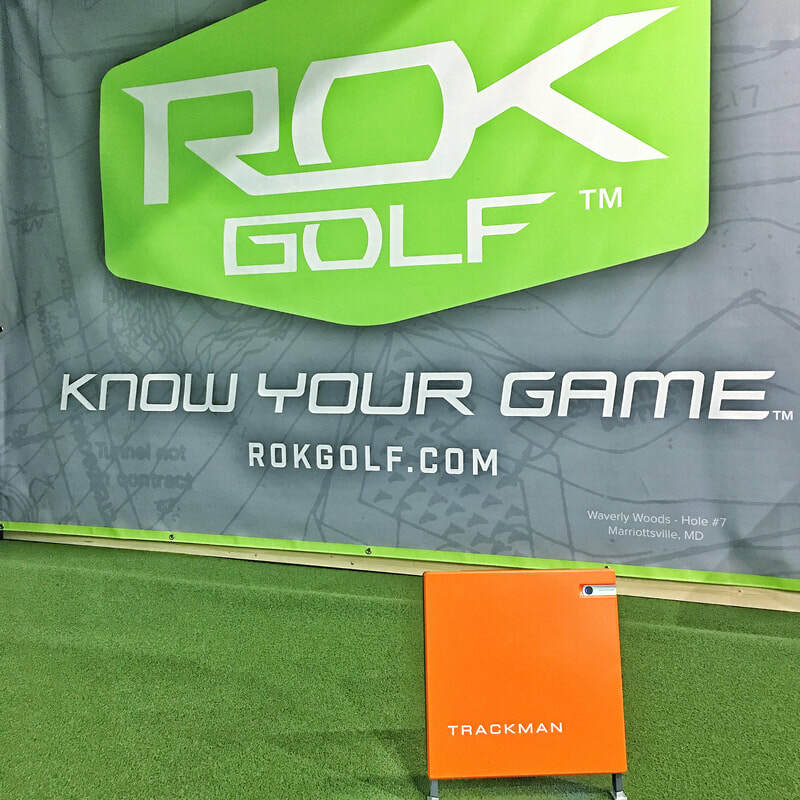 Knowledgeable Staff - The Professional staff at ROK make sure you understand your TrackMan numbers and how to intrepret them. The first time you are in our staff is going to make sure you know what kind of numbers you are looking for that match up with your goals. Whether you are in ROK Golf for the first time or taking a lesson from one of our ROK Professionals we are going to make sure you understand what "your numbers" mean and how to interpret them. Our goal is to help you understand these, so that you can control your actions, which will improve your outcomes! We want you to Know Your Game™. In case the idea of of "numbers" and technical golf stuff scares you, just know that, we only make these numbers as complicated as they need to be not as complicated as they can be. Instruction at ROK looks and feels a little different than most other golf facilities, whether indoor or outdoor. The main reason because the access we give to our students to practice and learn on their own with the powerful TrackMan technology that we use. It's because of this that a bulk of our instruction is what we refer to as "Guided Practice". Guided Practice is pretty much like it sounds, working with a ROK Professional to help guide your practice session so that you can focus changing a certain aspect of your swing. Our ROK Professionals will point out numbers to focus on or certain body/club positions to look for in the video feedback. They will provide drills and rehearse what your swing should feel like. The balance of time where you are working with an instructor and practicing on your own will be 50/50. With the technology that we have at ROK we feel this is a perfect balance of time with an instructor and time to get some "reps" in and practice. This also provides a more affordable way to get some instruction and practice using TrackMan.